City of San Diego Planning Director Bill Fulton has resigned to take a position at Rice University in Houston, the mayor’s office confirmed Friday. 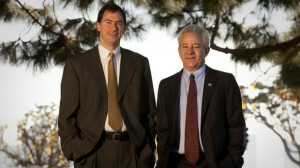 Fulton, who was hired last year by ex-Mayor Bob Filner, considered a visionary in his field, was once vice president of policy for Smart Growth America. He was leading a new division that was recently broken off from the city’s Development Services Department. In a memo to members of the City Council, Deputy Chief Operating Officer David Graham lauded Fulton for bringing forward long-stalled updates to community plans for some neighborhoods. Those plans deal with zoning, density and community character issues. Fulton, whose resignation becomes effective at the end of this month, will become the director of the Kinder Institute of Urban Research at Rice. It will not be his first foray into academia. He also served as a fellow at USC’s Sol Price School of Public Policy. City Council President Todd Gloria said on Twitter that he was sorry to see Fulton leave. “I admire Bill. He’s a true public servant & visionary planner. This is a big loss for our city. #rockstar,” Gloria wrote. Graham said the mayor’s office will launch a national search for a successor and determine whether an interim appointment will be necessary.